Why your program? What makes you different? Yoga North International SomaYoga Institute (ISYI) has been an accredited yoga school through Yoga Alliance for 13+ years, and was one of the first yoga therapy schools to be accredited by the International Association of Yoga Therapists (IAYT). Yoga North ISYI is also registered as a private career school in the state of Minnesota with the Office of Higher Education. At Yoga North ISYI, the therapeutic aspects of yoga are the foundation of what we teach. Yoga is taught with a therapeutic focus from the very beginning in our 200 hour teacher training program. This facilitates leveling your professional development, should you want to continue on to be certified at the advanced (500 hours) level or as certified yoga therapist (C-IAYT). SomaYoga is unique therapeutic methodology developed at Yoga North ISYI. It is a blending of the neuromuscular re-education Somatics with traditional Therapeutic Yoga, and Classic Asana. Yoga North ISYI is steeped in the Himalayan Tradition, and much of the yoga philosophy taught in our professional training programs come from yogic maps and models in that tradition. The traditional practices and philosophy from the Himalayan Tradition are taught, with an emphasis on practical application and putting the concepts to use in day-to-day life. What if I want to work with specific/niche populations? At Yoga North ISYI, we are dedicated to the tenet of “Love All, Exclude None” with the hopes that people will take what they’ve learned in our programs and share the teachings widely. a holistic approach to teaching yoga, and practices to support all aspects of being – body, breath, mind, wisdom and bliss – and to apply these in a variety of classroom settings. Graduates of our program have successfully integrated their teacher training skills into a variety of other settings: psychotherapy and counseling, Alcohol and Other Drug Addiction counseling, Physical and Occupational Therapy practice, corporate and work-place settings, public schools, nursing homes and rehabilitation facilities, mental health settings, developmental disabilities, elderly, chronic pain, eating disorders, correctional facilities (staff and inmates). We offer a lot of specialized training for people working with everything from chronic pain to improving athletic performance, pelvic floor dysfunction, as well as stress, anxiety and depression. Our 200 hour teacher training program starts with building foundational teaching skills. For those who are already teachers, the teaching methodology and best practices will bolster your current professional skills. For those who have never taught before, in the course of the 6 months we cover teaching methodology, lesson planning and sequencing, ethical practices, seeing and offering adjustments and modifications, cueing and teaching yoga poses, as well as best practices for setting up a safe space and interacting with students and community members as a professional in the field. What is the difference between the 200 hour, +350 hour and 500 hour teacher training programs? The 200 hour training is where you begin with your professional training. Once you complete a 200 hour training at Yoga North ISYI or an approved school, you can then go on to take the +350 training. The 200 hour and +350 hour trainings together fulfill the requirements for certification at the 500 hour level. The 200 hour level teaches essential skills. The 500 hour (+350 hour) goes more in-depth with the essential teachings for you to become an advanced professional yoga teacher, work with students one-on-one, deepen your understanding and practices of yogic philosophy, further your personal and professional development, and working with the body and mind. I want to become a professional Yoga Therapist. Can I apply and enroll in the Yoga Therapy program? The Yoga Therapy Certification program is available for people who have completed a +350 hour teacher training program to be certified at the 500 hour level. Yoga North ISYI’s +350 hour training is also the first part of the Yoga Therapy Certification, thus it is also called “Level 1 Yoga Therapy”. Once you’ve completed the +350 hour training or are currently enrolled and thriving in the program, you can apply and enroll in the 1000+ hour Yoga Therapy Certification program (Level 2 Yoga Therapy Certification). For people who have completed the +300 hour yoga teacher training through another approved yoga school, completion of a bridge program is required to gain foundational methodology and techniques in Therapeutic SomaYoga. How much yoga experience should I have before I apply? We ask that individuals have approximately one year of personal practice before applying for the 200 hour program; in some cases, this preference is waived. One must have completed the 200 hour level training to apply for the +350/500 hour program. Beyond that, listen to your intuition as to whether you are ready to deepen your practice and/or start teaching. What can I expect during my days attending the Teacher Training (will we be doing asanas the entire time)? The curriculum is organized in a way that will serve the student in acquiring and retaining knowledge while maintaining balance through the process. In depth asana practice, philosophy study, lectures and guest speakers, dyad work, and meals are all spaced so as not to keep you sitting still or in constant motion for an uncomfortable amount of time. What is the time schedule for the teacher training weekends? The time schedule depends on the program and the location of the program. Programming in Duluth is usually scheduled in a shorter weekend meeting Friday through Sunday. Plan on being engaged from 8am – 9pm on the dates of training. Some days start later and end earlier. The schedule is distributed a month in advance of each weekend, and stays consistent from one month to the next with some minor changes and adjustments. Weekend modules in St. Paul start Thursday evenings around 6pm and conclude Sunday evening around the same time. Plan on being engaged 8am – 9pm Friday through Sunday, with the exception of getting out earlier on Saturdays and Sundays. The schedule stays relatively consistent from month to month with some minor variations. For both Duluth and St. Paul locations longer breaks are scheduled around meal times (breakfast, lunch and dinner), giving students ample time to nourish themselves in between classroom sessions. There is space to stay on-site and take meals in the studios, and lunch and dinner breaks are generally long enough to leave the studio and get food. Every Friday evening of the weekend modules we have a Sat Sangha Potluck Supper, where everyone brings a dish to shares and spend time taking the meal together in community. 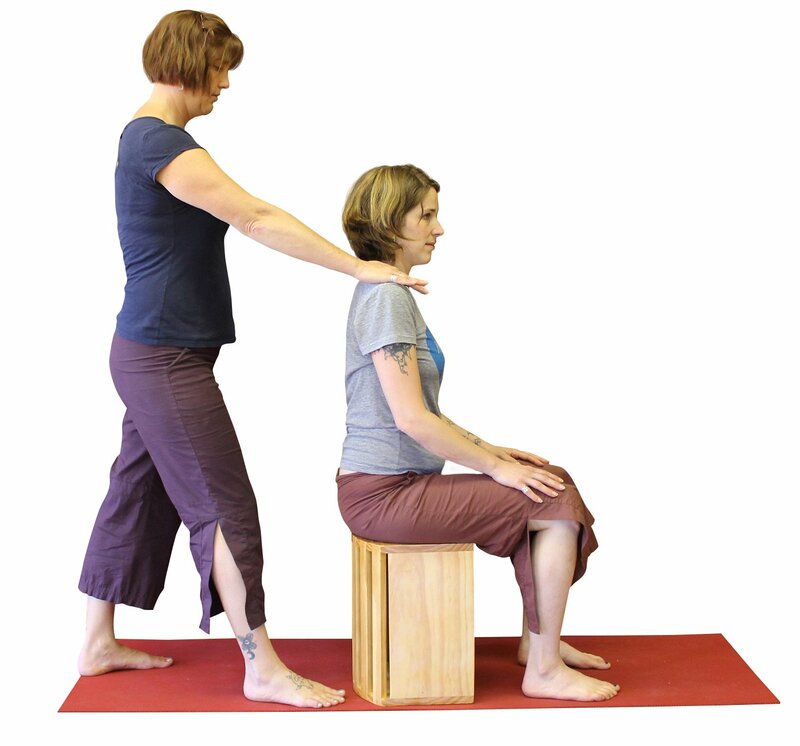 Level 2 Yoga Therapy trainings is spread out over four to five 9 day modules. A special schedule is created for this unique learning environment and specific inquiries should be directed to the office at Yoga North. Is there a payment plan option available for the program? There are a variety of financing options to manage the costs of tuition and other teacher training expenses. Contact the studio after you have been accepted to the program to enroll and set up the payment plan. The initial deposit of $800-$1000 is required before training begins, and the remainder of the balance of tuition is automatically deducted from your account in monthly installments for the duration of the program (7 months for 200-hour, 10 months for +350 hour, and 21 months for Yoga Therapy Certification). An administrative fee is added for setting up the payment plan and processing the monthly payments. We also have financing available through We Finance, a creative way to crowd source small loans from friends, family and acquaintances. Find more information here. For students who are in financial need and would like to make arrangements for a work/trade agreement in exchange for discounted tuition pricing, we have 1-2 work/trade positions for each teacher training class. For more information on this opportunity, please contact Teri in the Yoga North office. Is there make-up available if I have to miss part of or an entire weekend? Yes. When applying and enrolling we suggest that applicants make significant effort to attend all scheduled training hours. Making up missed hours can detract from the experience of the training, as well as an individual’s understanding and comprehension of the materials. Each module builds off information in the previous modules, and the programs are structured to be completed in a linear manner. Furthermore, 100% attendance is required to receive your certificate of completion. Faculty can work with outstanding circumstances when training is missed. There are a number of ways to make up missed class time. The most straightforward way is to attend the same weekend the next time the training is offered (six months to one year afterward). Another way is to substitute programming that is similar to that which was missed, either at Yoga North or through an approved studio. Missed time and make up must be pre-approved by Teacher Training faculty to qualify as make-up. There are extra fees associated with attending make-up sessions. Where do I stay if I live out of town? A majority of our students hold residence outside of the Twin Ports area and find weekend accommodations. Yoga North ISYI has made arrangements with some area hotels for group discount rates. Please inquire with us if you would like to learn more. We recommend booking your room in advance, and remember to show them your Yoga North Student ID. You are also welcome to inquire with family and friends. On some occasions there are homestay options (also called “billeting” are available at a low cost; inquire with our staff if you are interested in homestay/billeting. What do I bring to the weekend? What do I wear? 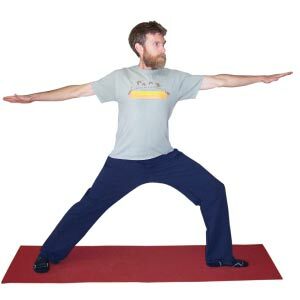 We will be practicing asanas, so please wear clothing suitable for practice (comfortable and flexible). Note that temperature can change throughout the day. We highly suggest wearing layers. You will be purchasing some required materials, including a Student Handbook, reading materials (excluding books, see next question), and in some cases specific yoga props. You will want to bring a notebook and a pen or pencil to take notes. Please bring food for your breakfast, lunch and dinner, a water bottle and insulated thermos or mug to help you stay hydrated throughout the day. There is a refrigerator available for storing food during the weekend. Cold and hot water, as well as tea, is available in studios. Are books and props included in the cost of the program? Books and props are not included in the cost of the program. Students enrolled in Teacher Training are offered a discount for books and other resources purchased at the studio. This way you have the option to purchase your books online or from your local bookstore, should this be a better solution for you. What is your program’s Student Benefits Package? Our Essential Program is composed of 240 hours tiered for progression in body, breath, and yogic philosophy. The program consists of intensive weekends, through out six months with outside study and practicum work. This program begins after completing a 200-hour program at Yoga North International SomaYoga Institute (ISYI) or another qualified yoga studio. The program consists of 365 hours of comprehensive training to become an advanced yoga teacher with SomaYoga Therapy skill. We are honored to be one of 35 schools in the world to hold accreditation with International Association of Yoga Therapists (IAYT). Learn skills to teach weekly yoga therapy classes, workshops, and develop a private clientele. This program begins after completing a 500 Hour program at Yoga North International SomaYoga Institute (ISYI) or another qualified yoga studio. For applicants with no formal training in SomaYoga a Bridge Program is required. Intensive offerings include SomaYoga Therapy & Clinical Techniques and Yoga for Stress, Anxiety, & Depression (SAD). Intensives are offered in Duluth MN, St. Paul MN, Maui HI and other locations upon request. Yoga North International SomaYoga Institute offers workshops, intensives, and retreats in Duluth, Ely, and St. Paul, Minnesota, as well as Maui, Hawaii. Available at other locations nationally and internationally upon request.